Photocredit : Sea Shepherd Cove Guardians – note 9 people versus 0ne dolphin!! A grim day. A sea capture took place just outside the Cove. This is standard practice for the capture of Pacific White Sided dolphins as they do not want the rocks to mark them as they will not be pretty enough to be sold for human entertainment. 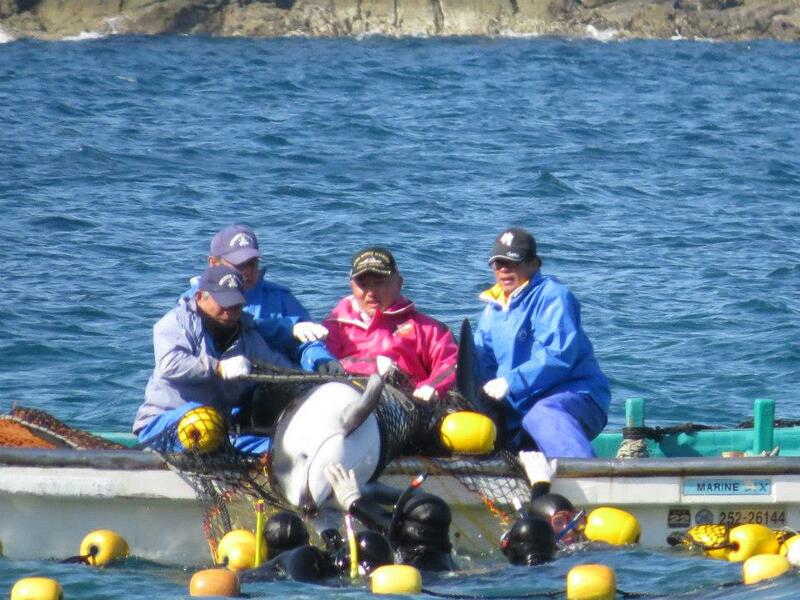 The horrors of the captive industry were clearly on display in Taiji today. A pod of 17 Pacific White Sided dolphins were driven and netted just outside the Taiji Harbor for an at-sea capture. A total of 14 dolphins were taken prisoner by the killers as they had nets wrapped around their body and were aggressively lifted into skiffs. Once out of the water, the dolphins thrashed in agony and their bloody gashes were easily seen. The selection processes is grueling and many members of the pod will not make it through, as it was the case with one member of the pod who was lifted dead out of the water and another who was seen flailing on its way to the butcher house after it was taken captive by the killers. The last member of the pod was seen as unfit for captivity and struggled for its life as it was brought to the butcher house alive. 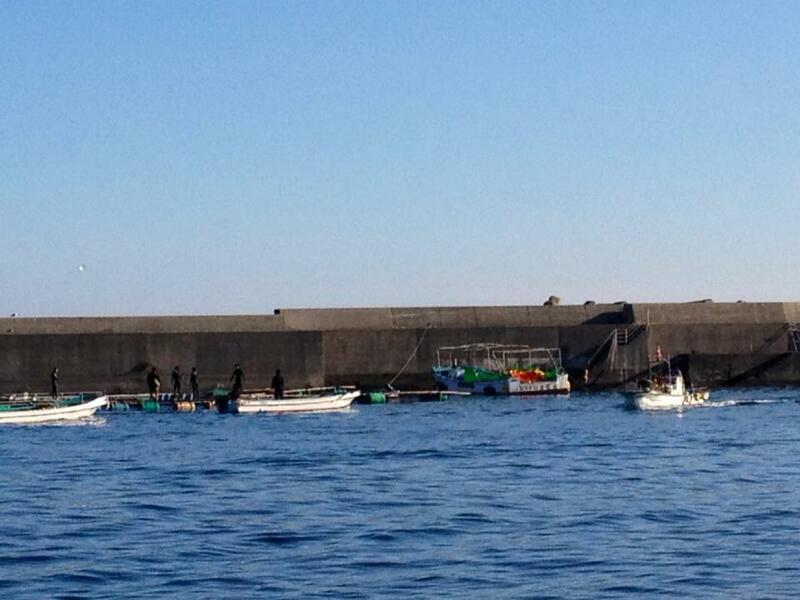 Also, dolphin transfers from the harbour pens continued. Well, they have to shift them quickly as they are capturing lots this year. The captive industry is thriving, a trend that needs to be reversed. This entry was posted in Dolphin, Taiji Terror Tales and tagged dolphin, japan, New Moon, Seaworld. Bookmark the permalink. It’s so important that you write about this. I’m even reading some of it with my kids.